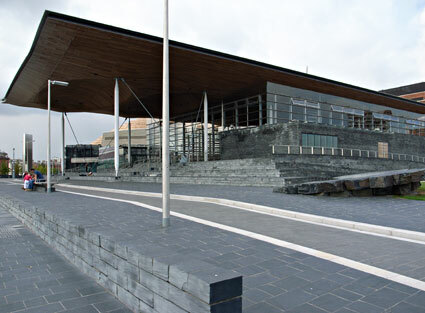 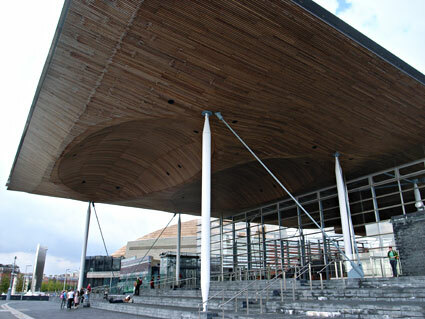 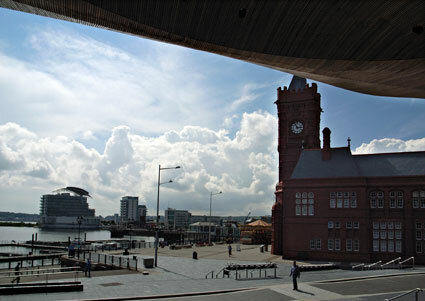 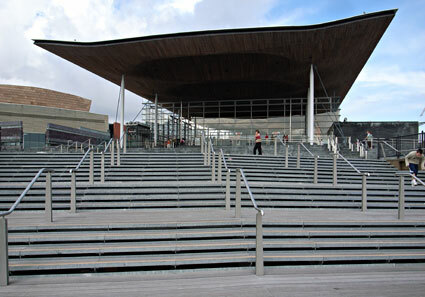 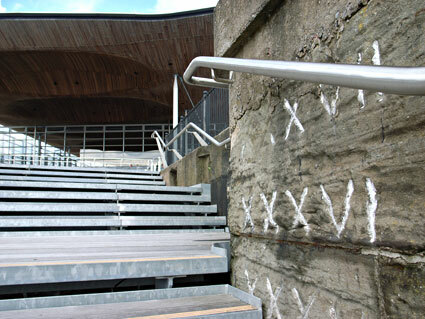 Designed by architect Lord Richard Rogers, the Senedd ('parliament' or 'senate' in Welsh) finally opened for business in February 2006, woefully behind schedule (three years) and costing nearly �67 million - almost five times the original budget. 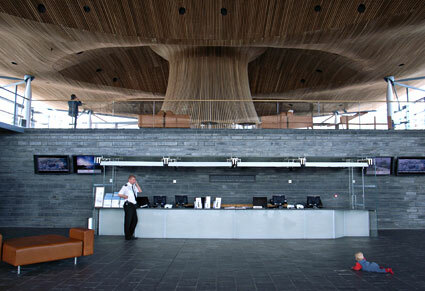 Designed with energy efficiency in mind, the new home of the National Assembly for Wales has already scooped up a Building Research Establishment (BRE) award for the 'green' principles used throughout its design. 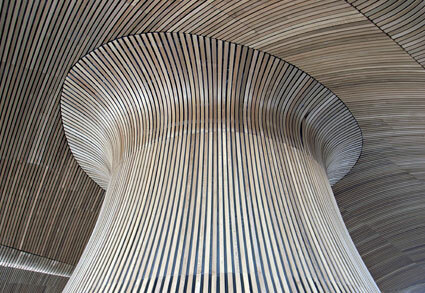 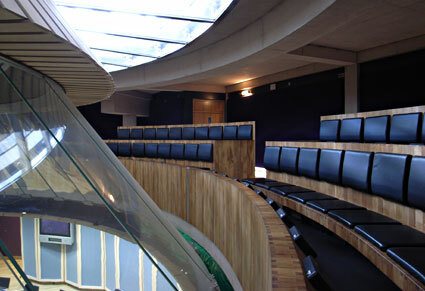 The roof features a large, 6 metre tall wind cowl which funnels natural light and a ventilating air flow down to the debating chamber below. 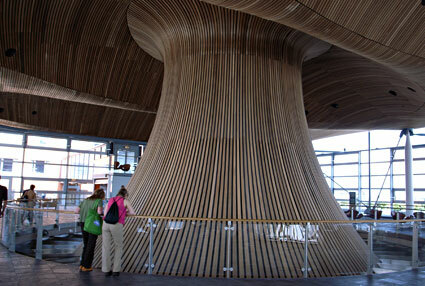 The building uses an Earth Heat Exchange System which uses the ground as both a heat source and a heat sink, with a low-emission biomass boiler being fuelled by locally sourced wood chips. 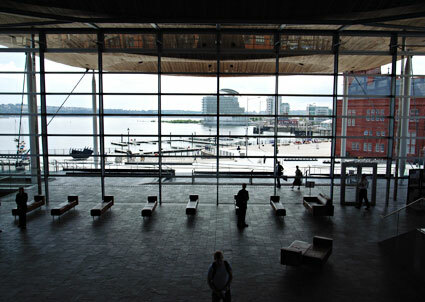 Natural ventilation is provided throughout most of the building, while rainwater is collected from the roof and recycled for the toilets and window washing. 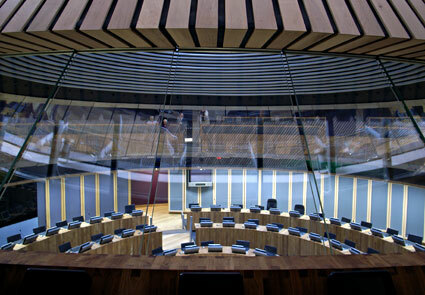 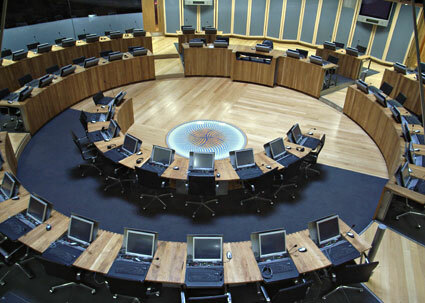 I loved the look and layout of the Senedd, although it's not without its distractors who have suggested that it looks more like a 'big shed with a chamber in the middle' or an 'airport lounge'.